You are weird. The kind that makes the world a better place. Keep singing. Thanks for the vote of confidence. Of course, what you (I'm certain) really commented on was the goodness of this weirdness. The little Finnish lullaby only took a few days to learn. After getting that one firmly in my head, I started learning a somewhat longer song that's on an album I picked up about a year ago - on the second release by LEAF, 'Lys'. It was written by Maria Franz, of Euzen, when she was 14 - the first real song that she wrote. I thinks it's beautiful. This one is in Norwegian (Norsk). I'm at the point I was when I posted the last one (can sing it with occasional glances at the lyrics), but it's taking longer to fully memorize. At least, it doesn't have any words that tie my tongue in knots like the last one did - kept tripping over liinahapaijan. One of these days, I want to learn a Russian song. The biggest impediment is the Cyrillic alphabet. Obviously, an English translation is of no benefit. I'll have to transcribe it phonetically, using familiar letters, but that'll be a tedious chore. Still, such activities are good for one's brain. Right at this moment I'm playing a 12" single of Hang On To Your Love, Sade. Next up is another 12" single, Night Shift, Commodores. I'm feeling DJ'ish today. About a year ago, I stumbled across Euzen via YouTube. One night, while going through some of their videos, a link to a cover of Kate Bush's 'Hounds of Love' popped up and I decided to open it. 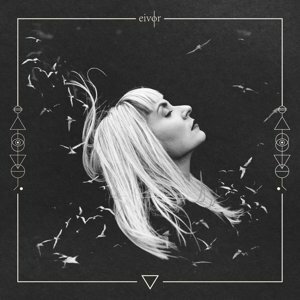 That's when I discovered Eivør. In my opinion, her cover of Kate's song is far better than the original. That led me to mine through more of her material. Here's a song from 'Slør' called 'Í Tokuni'. Upon hearing it, I went straight to Amazon and placed an order. I can't get enough. After several months, this album keeps forcing me to listen to it again and again and again...along with a few of her other ones. There's just something about her voice and the Faroese language. Another favorite from this album is the last song, 'Trøllabundin', and that's exactly what I am - spellbound. Although I'm still waiting for the release of the new Tool album, I did get a pleasant surprise when I logged into Amazon a few nights ago. 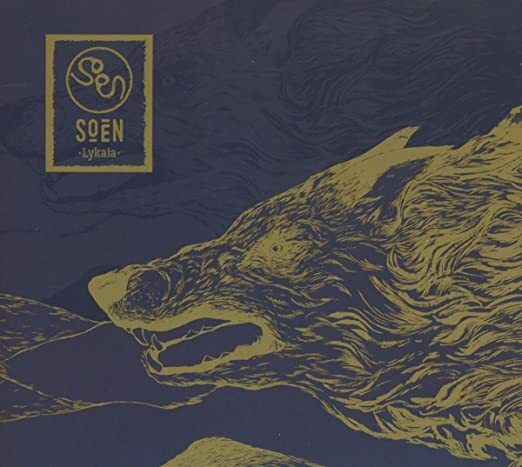 I didn't even know Soen had a new one in the works (nor does it seem like three years since their last - my, how time flies), but ordering it was a no-brainer. It arrived yesterday and I've played it several times - excellent, as expected. Listening in the usual way, playing the .wav rip via the BDP-1.